Rising from a state of suspended animation entered in 2017, and now waking up, blinking, into the futuristic light of 2019, it’s the return of the podcast that you all thought had died! Yes, here I am again to play some rather fine music and babble on a little between tracks – the same as I did in the good old days, but now just a few years further on. Forgive the rather rusty nature of the show – it has been quite some time and I’m just a little bit out of practice (evidenced by forgetting to mention what the last track played was or who it was by). In fact, the show runs to 50 minutes – which I only discovered as I was editing it last night – so it’s almost twice the usual length. There are more tracks played in this episode, and I did ramble on a little longer than I’d thought I had between them; then again, there’s a lot to catch up on! Hopefully you’re still out there listening, despite the gap. If you are, leave a comment on the shownotes / email me / mention me on Twitter – it may just encourage me to podcast far more regularly again! Big props given out to: Anyone still listening – please help spread the word and share the show on social media / blogs! Thank you for continuing to support the independent artists in 2019 by listening, feeding back and buying their music. Make the most of this new episode of Three From Leith – it may be your last experience of the best in independent & unsigned music before the men with the two worst hairstyles in the world decide to drop a nuke on each other! Thank you for continuing to support the independent artists in 2017 by listening, feeding back and buying their music. It’s 2017, and Three From Leith is back with a new studio set-up and a new selection of the best tracks from some of the best independent artists there are. Happy New Year, and here’s hoping your ready to slap on your headphones to appreciate what’s coming your way in Show 295! Show 294 – Am I Seeing Things? Pick your jaw back up off the floor – you’re not hallucinating, it IS another TFL podcast at long last. I have excuses, but who wants to hear all about them when there’s lots of great music to listen yo instead? OK, I do blether a bit about what’s been happening, but who can blame me?! Thank you for continuing to support the independent artists in 2016 by listening, feeding back and buying their music. Here we go with the first show of 2016, as we reach the end of the 1st quarter. Where did the first part of the year go? Life’s been busy and dealt the family a fairly awful knock, so things have all been in a bit of a tizzy. But I finally found the time to get some more great music down, interspersed with the usual waffle, to see you through until the next episode. Enjoy – and do let me know if you find any great new music yourself which you think the other TFL listeners would enjoy. Show 293 will be here soon! Show 293 is recorded and ready to go as soon as I receive a replacement copy of one of the tracks from the band’s PR. Unfortunately, the track cuts off prematurely and I somehow failed to notice it until I was mixing the show on Friday night after finishing the recording. As soon as the new version of the track arrives, I’ll replace the old one, mix the revised show down and have it up in a jiffy! Welcome to the first Christmas show in many years – with the key difference this year being that there are no festive tunes featured (other than the festive intro and outros). Sit back with a hot mug of mulled wine and a mince pie or two and fire up the hifi or the mp3 player to enjoy an end-of-year selection of some of the best music sent to me over 2015. Have a very Merry Christmas and a Happy New Year – see you all in 2016! Thank you for continuing to support the independent artists in 2015 by listening, feeding back and buying their music. This is the show that nearly never was; it was started months back as an intended 10th Anniversary Special, but it quickly became clear to me that it just wasn’t coming together as I’d intended. The more I tried, the harder it got to record – until I reached a complete and utter standstill. Struck down with podcaster’s block, I couldn’t make myself record any more than the first third that I’d managed to piece together. I tried many times, and got to the point where I was on the verge of deleting the file and starting over, just to get past the psychological barrier. However, with the passage of time I was able to listen through eventually to what was there and I decided it was actually a decent podcast and could be finished off as a normal show, with none of the anniversary razzmatazz that was making me avoid going near it! So, the show has finally been completed, and features a fabulous trio of Scottish artists for your listening pleasure. Watch this lot – they’re going places (even if it’s just out for a bike ride in the case of the now-defunct Hotrod Cadets!) 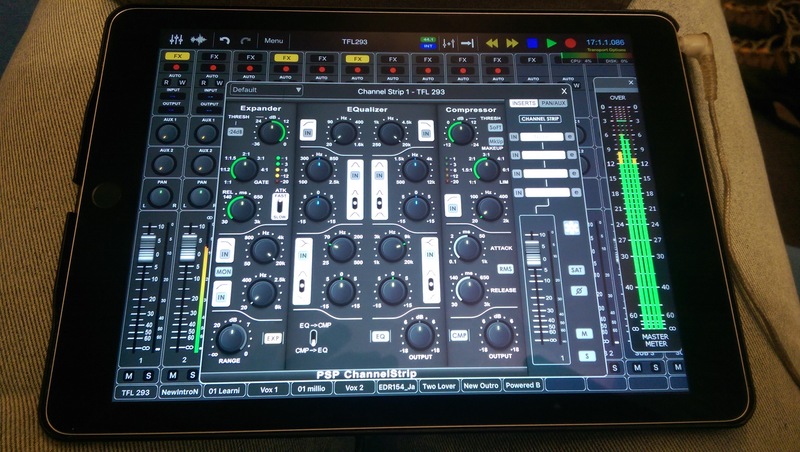 So enjoy – and do let me know how the new recording setup for this show (entirely iPad on a multitrack DAW) sounds. 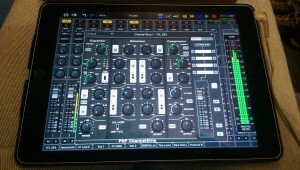 Well, this was a first – a show recorded on the iPad, live, and flying by the seat of my pants! Other than a slightly fluffed vocal and soudbed coming in a little too soon at the end of one song, it went pretty well (although hearing what I said coming back through the headphones a fraction of a second after I said it was really off-putting). Still, it’s good to try something different every now and again to keep you on your toes. Enjoy the tunes – there’s a real feel of energy behind this week’s selection. I realised that I’m about to go off on holiday and hadn’t done a podcast since May, so thought I’d better put a quick one together before you think I’ve abandoned you all! Apologies for the rushed feel to the show, but it was done between shopping, packing & cleaning. Enjoy the three great tracks until I get back, and do let the artists know if you like what you hear. Entries (RSS) and Comments (RSS). 27 queries. 0.681 seconds.